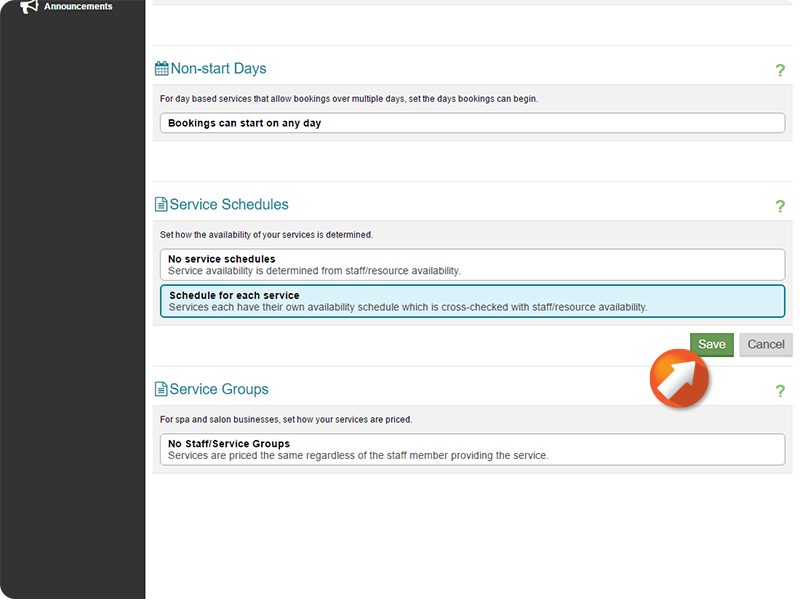 The Service Schedule field allows the option to have Service availability be determined by Staff/Resource availability, or to have Services each have their own availability schedule which is cross-checked with Staff/Resource availability. 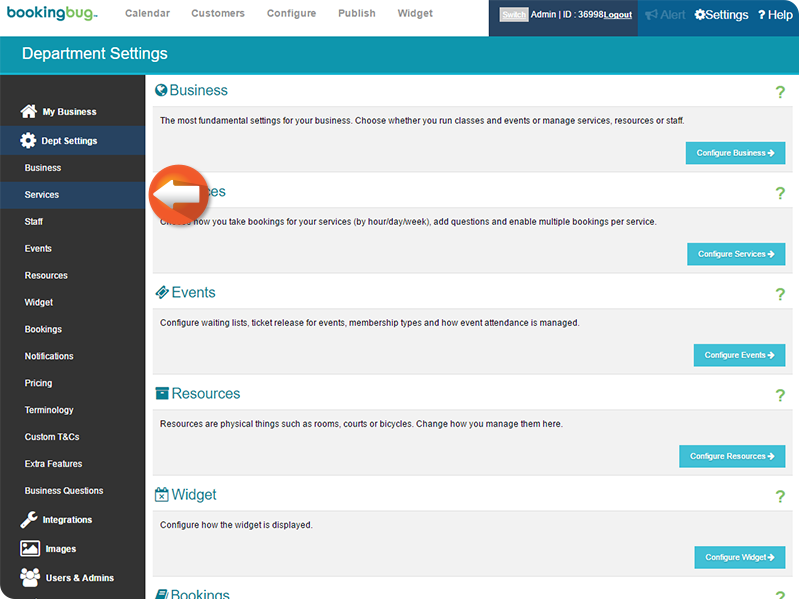 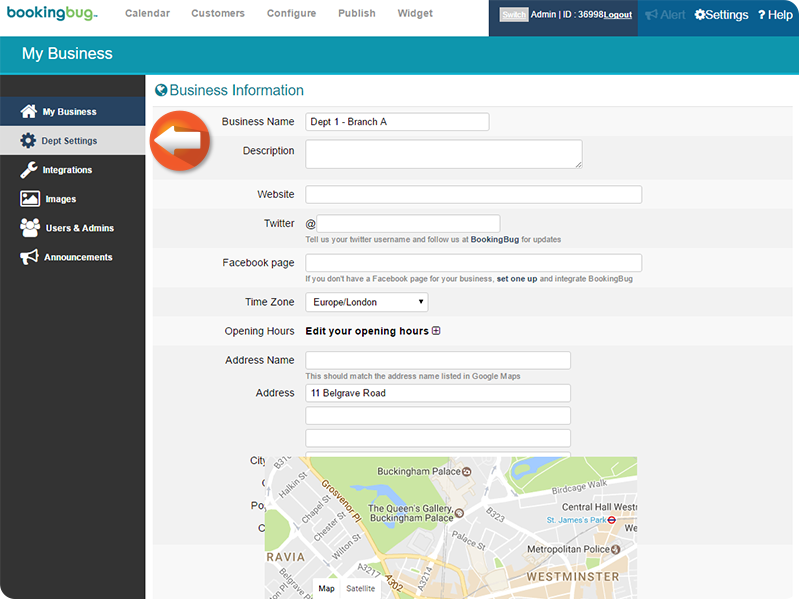 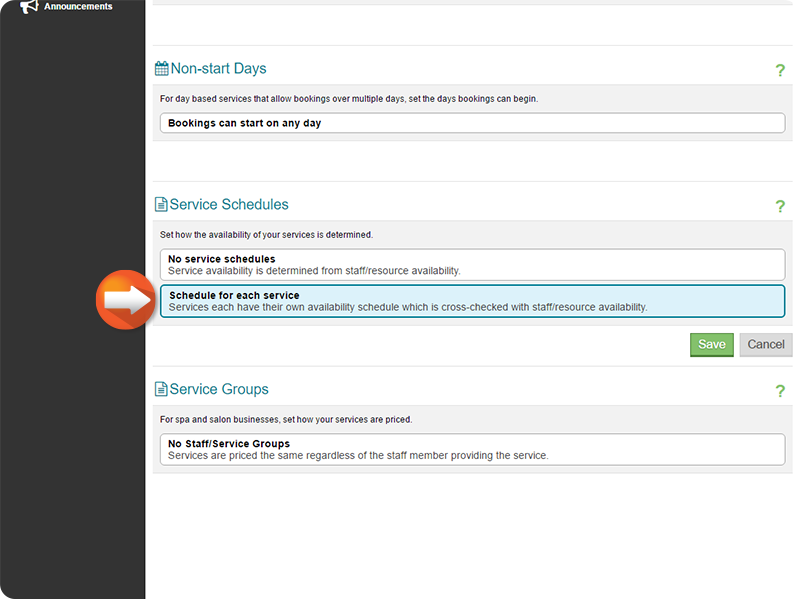 Click Change next to the Service Schedule field. 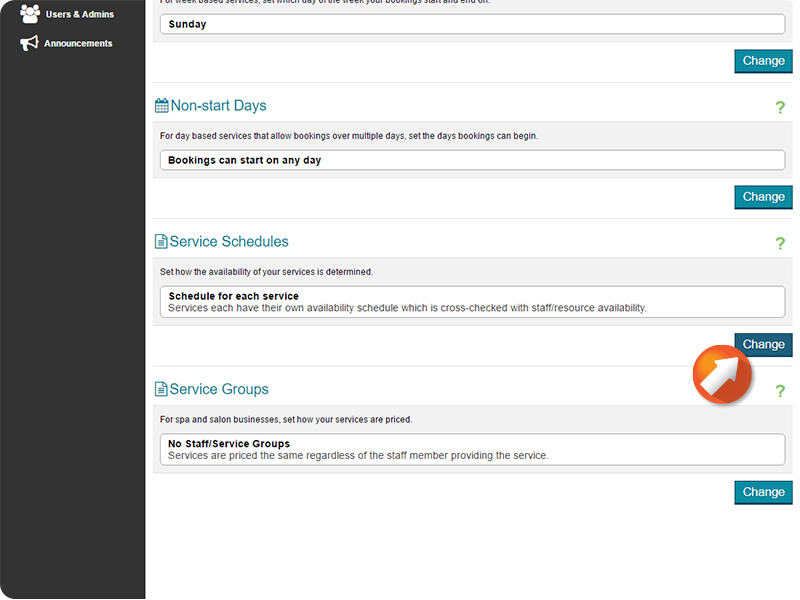 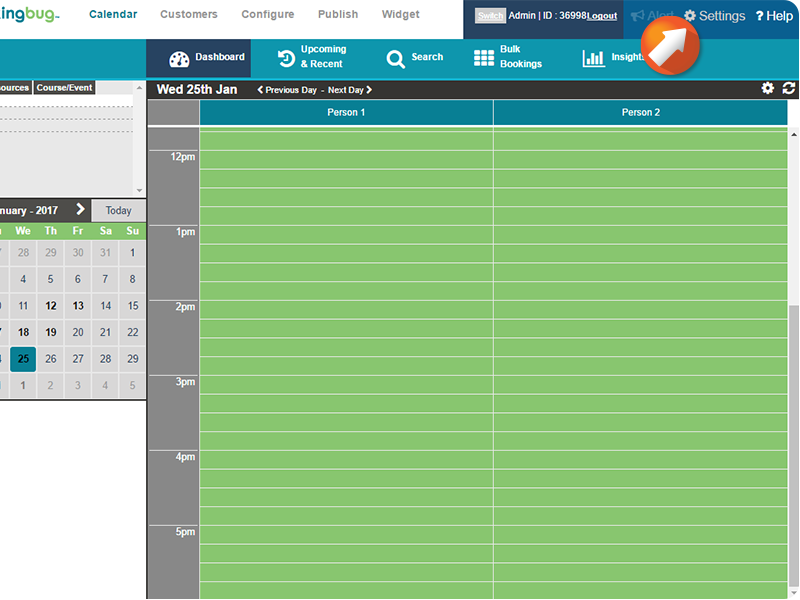 Select No service schedules if you want your Service availability to be determined by Staff/Resource availability. 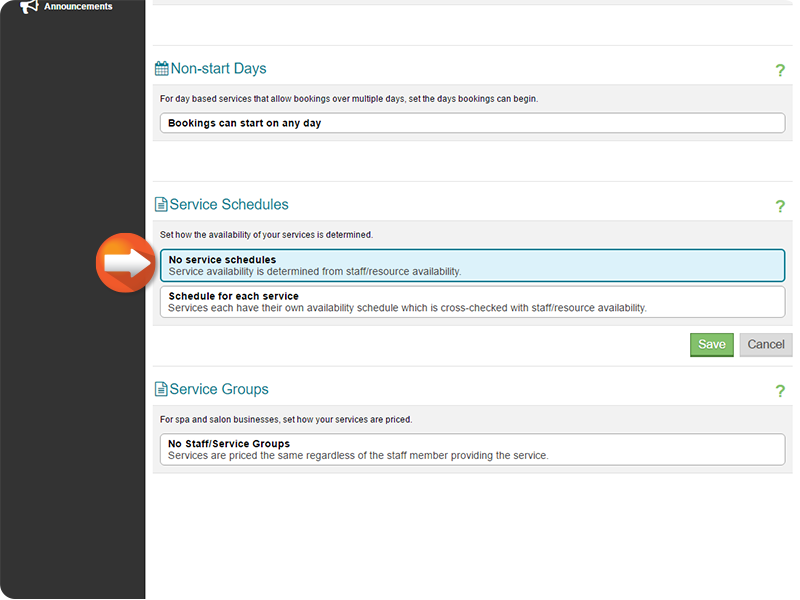 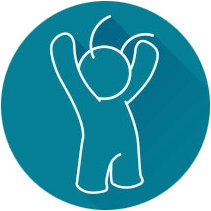 Select Schedule for each service if you want your Services to have their own availability schedule which is cross-checked with Staff/Resource availability.